Have you suffered in an auto accident? 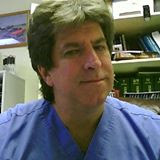 Dr. Blake specializes in diagnosing and managing acute traumatic injury. Call us today to get back on the road to health. Our chiropractor has taken several courses in continued education for sports and rehab. He has received certifications for diagnosis, treatment, and chiropractic rehabilitation of common spinal disorders. Contact our Harrisburg, Pennsylvania, chiropractor Dr. Robert Blake for sports injury treatment and deep tissue massages. Call our office at (717) 657-2561 for an appointment today! Mention This Site to Receive Your No Cost Consultation.